FIFTH Graders researched authors, then took on the role of their author in a videoed interview. Students rotated through the roles of author, interviewer, and videographer. After editing their movie, they uploaded it to YouTube and uploaded it to their Weebly. Fifth graders from throughout the district participated in a national quiz bowl. Together they formed one team that answered 100 trivia questions... just for fun! Fifth graders work on an extensive project researching explorers. 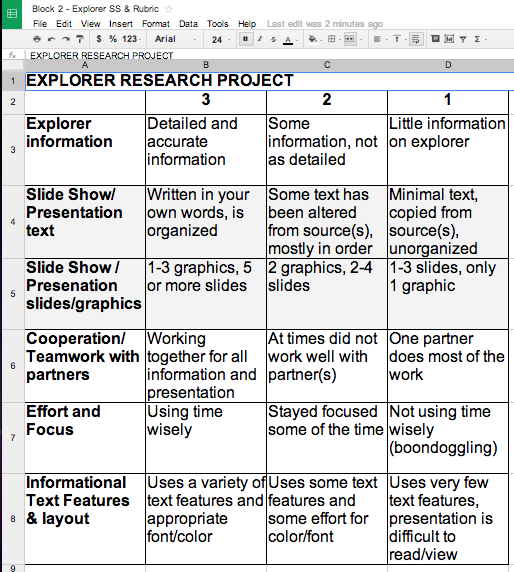 Before the research began, Advanced Learners created an evaluation rubric and set up a spreadsheet for the rest of the class to record their information. Everyone was instructed in how to use and format a spreadsheet/ database. They worked on these IT standards: "Conduct short research projects and cite several sources. Determine purpose of and evaluate effectiveness of media and technology used in a production. Evaluate a production or presentation based on identified criteria. 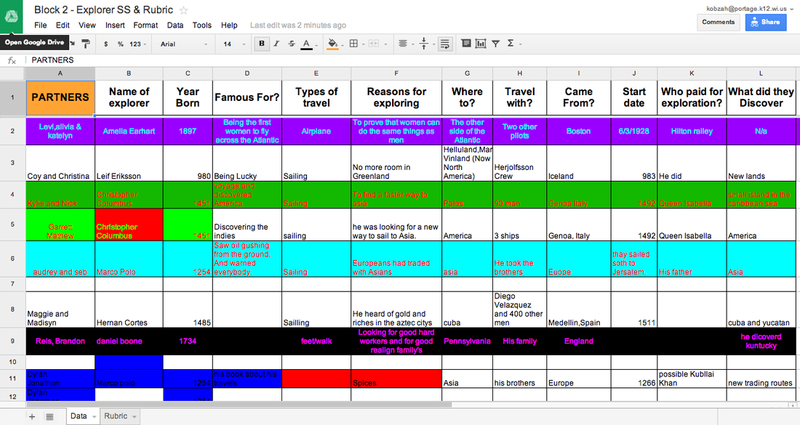 Use a spreadsheet for basic calculations, sorting, layout, graphs. Use, plan and create online maps."